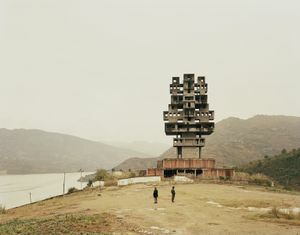 Nadav Kander is a London based photographer, artist and director, known for his portraiture and landscapes. 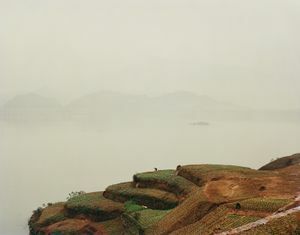 His work is included in the collections of the National Portrait Gallery, the Victoria and Albert Museum and other galleries and museums. 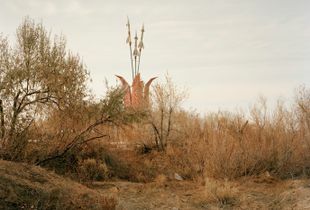 His father flew Boeing 707s for El-Al but lost his eye and was unable to continue flying. 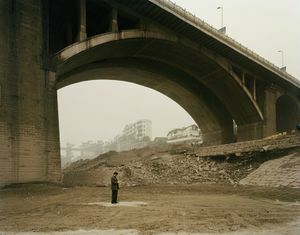 His parents decided to start again in South Africa and moved to Johannesburg in 1963. 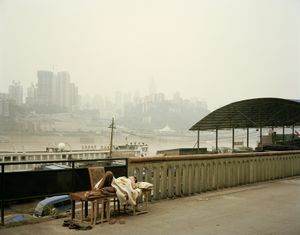 Kander began taking pictures when he was 13 on a Pentax camera. 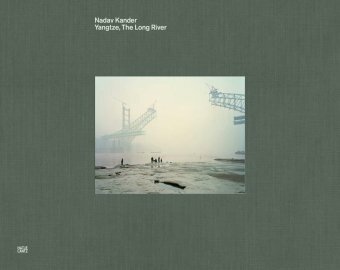 After being drafted into the South African Air Force, Kander worked in a darkroom printing aerial photographs. 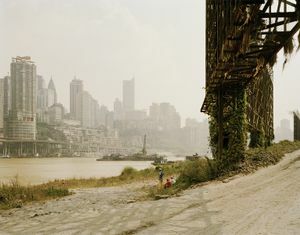 He moved to London in 1986, where he still resides with his wife Nicole and their three children. 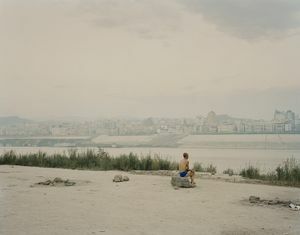 Kander's best known images include Diver, Salt Lake, Utah 1997, in which a lone women peers out into the vast lake, and his 2009 portrait of Barack Obama photographed for "The New York Times Magazine" as a cover feature. 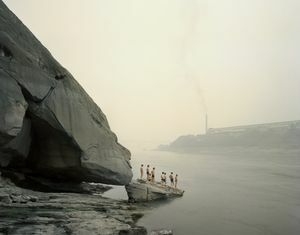 Diver, Salt Lake, Utah, 1997 was also the cover image for Kander's monograph, Beauty's Nothing. 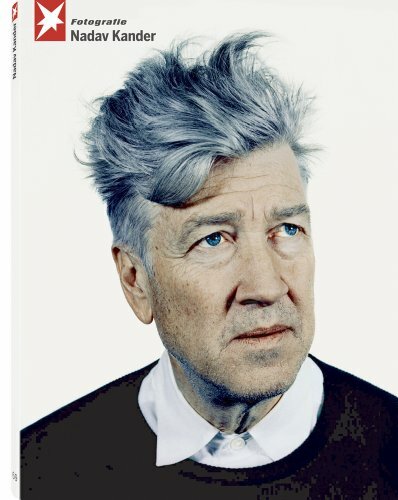 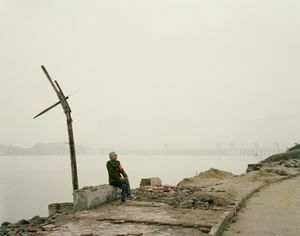 On 18 January 2009 Nadav Kander had 52 full page colour portraits published in one issue of "The New York Times Magazine". 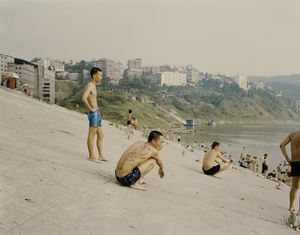 These portraits (from a series titled Obama's People) were of the people surrounding President Barack Obama, from Joe Biden (Vice President) to Eugene Kang (Special Assistant to The President). 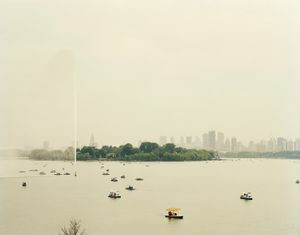 The same issue also included a series of cityscapes of Washington DC also taken by Kander. 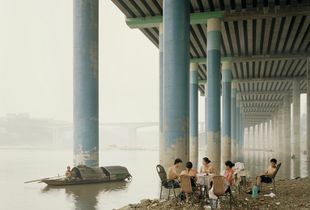 This is the largest portfolio of work by the same photographer "The New York Times Magazine" has ever showcased in one single issue. 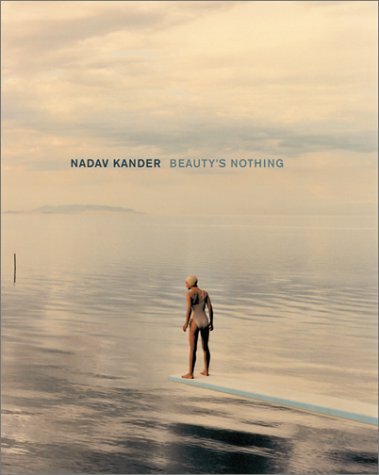 Kander published his first monograph, Beauty’s Nothing (Arena Editions) in 2001. 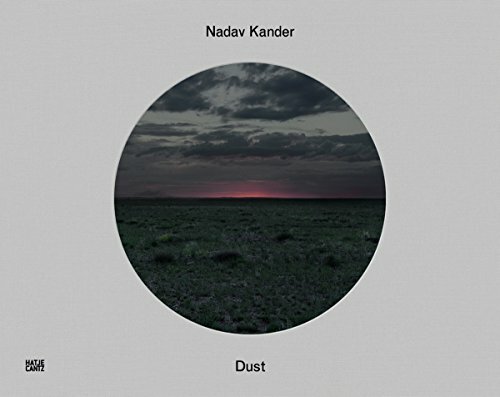 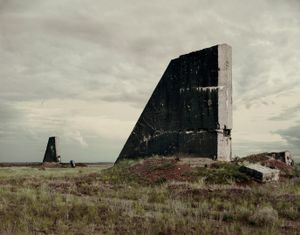 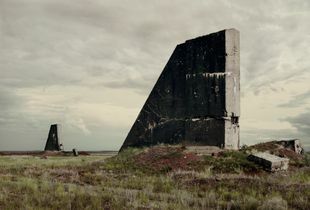 He followed up the book with a catalogue of nocturnal landscapes entitled Nadav Kander – Night which accompanied his exhibitions at the Yancey Richardson Gallery, New York and Shine Gallery, London. 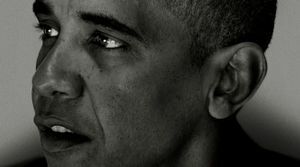 Flowers Gallery published Obama's People to accompany the solo exhibition. 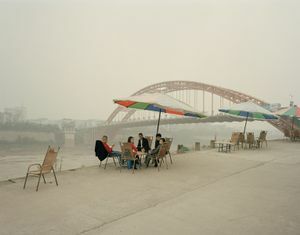 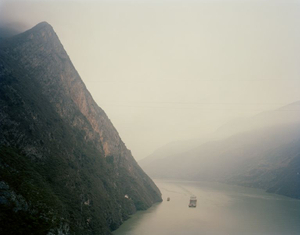 Yangtze - The Long River was published by Hatje Cantz in September 2010. 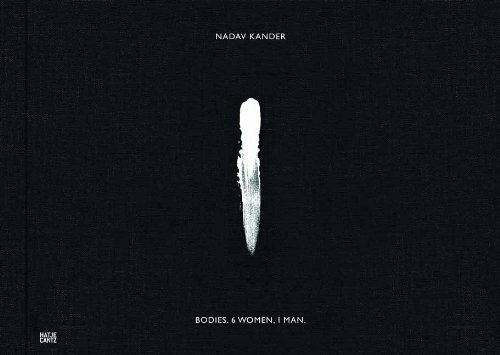 Bodies: 6 Women,1 Man, was published as a limited edition monograph by Hatje Cantz in February 2013. 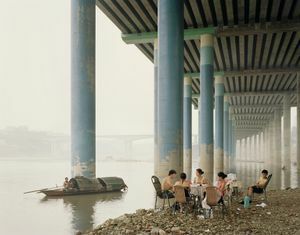 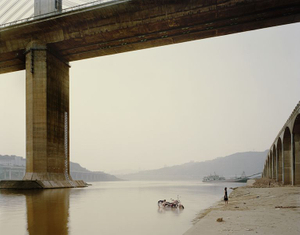 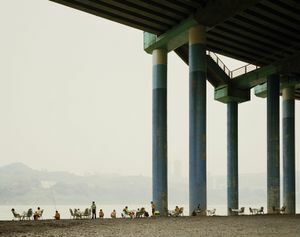 In October 2009 Kander was announced as the winner of the prestigious Prix Pictet 'Earth' 2009 for his Yangtze - The Long River series. 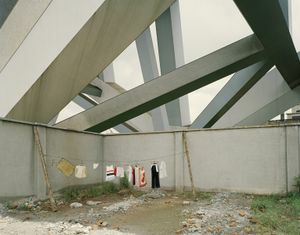 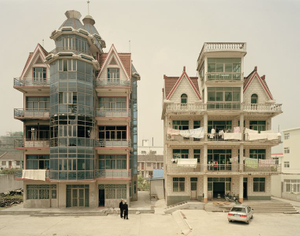 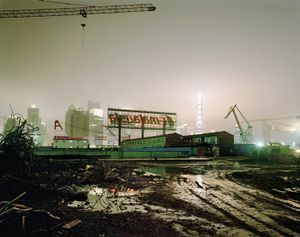 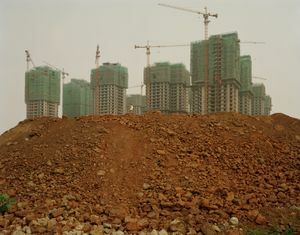 He was chosen from a shortlist of 12 nominees that included Ed Kashi, Andreas Gursky and Naoya Hatakeyama. 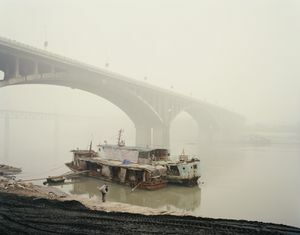 The award was presented in Paris at the Passage de Retz by Kofi Annan, Honorary President of the Prix Pictet. 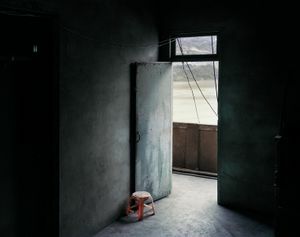 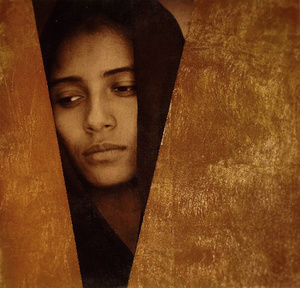 He was named International Photographer of the Year at the 7th Annual Lucie Awards in 2009 and has also received awards from Art Director’s Club and IPA in the USA, from the D&amp;AD and the John Kobal Foundation in the UK and Epica in Europe. 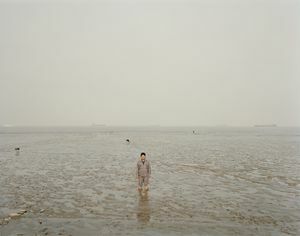 He was awarded the Royal Photographic Society’s ‘Terence Donovan’ Award in 2002 and was nominated for the Schweppes Photographic Portrait Prize in 2003. 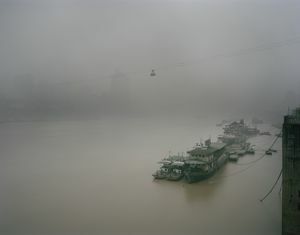 In 2008 he was awarded the Silver Photographer of the Year at the Lianzhou International Photo Festival in China. 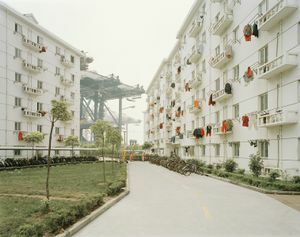 He won the 2011 London Awards for Art and Performance, photography. 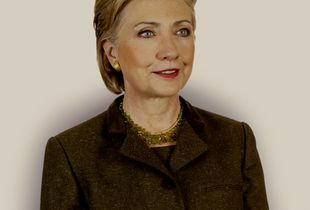 Working for “The New York Times”, London-based photographer Nadav Kander was given unprecedented access to make portraits of 52 new incoming members of Obama’s administration just weeks before they moved into the White House. 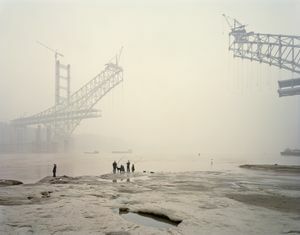 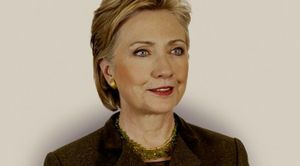 Kander spoke with LensCulture in an exclusive audio interview about this fun but daunting task.